Gap-filling exercise, based on First Friends 1 class book. Ask the Ss what things they take to school (one is not (toy) ). After putting down the missing letter ask children to write the whole word. 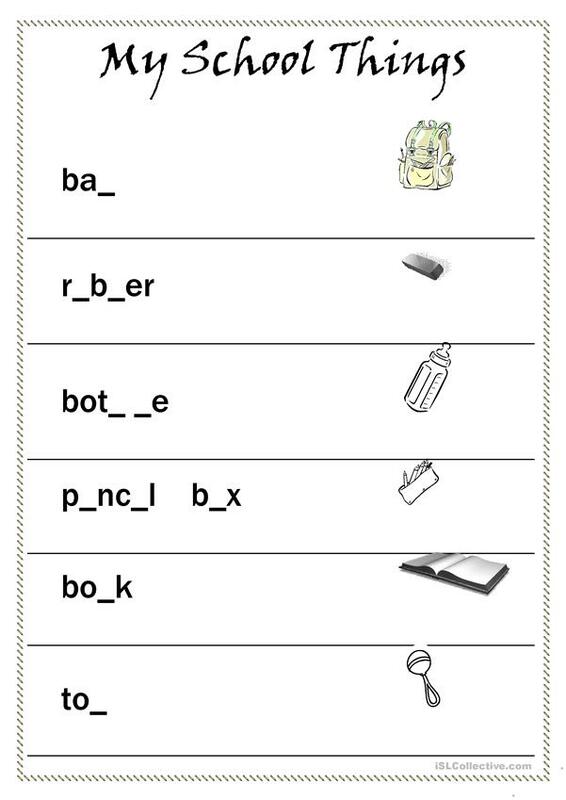 The above downloadable printable was created for elementary school students and kindergartners and nursery school students at Beginner (pre-A1) level. It is excellent for honing your groups' Speaking and Writing skills. It features the topic and words of School.